Reset yorself the printer Epson Stylus Office TX300F. The TX300F Epson Stylus Office printers print, copy, scan and send/receive faxes without needing a computer, with this printer you can see images before printing them thanks to a touch screen in its front part, it prints up to 31 ppm in black and 15 ppm in color it has a great ease of use and quick to install. This printer has a maximum resolution of 5760 x 1440 dpi and supports Letter, Legal (21,6 x 35,6 cm), A4, B5, A5, A6, report, executive, statement sizes, user-defined: (8.9 to 21.6 cm) x (8.9 to 111 , 7cm) envelopes: No. 10, DL, C6, it is compatible with Windows® 2000, XP, XP Professional x64 Edition and Windows Vista™ Macintosh USB Macintosh® OS X 10.3.9, 10.4.x, 10.5.x operative systems uses two types of ink cartridges for the black ink cartridges, normal and high capacity cartridges. Something you must take into account when performing the resetting of this and any other Epson printer is that no other printer can be plugged at the same time, this printer and the computer must be fully working and plugged. Downloading a program is needed to reset the printer download the program by visiting the reset Epson Stylus Office TX300F link. 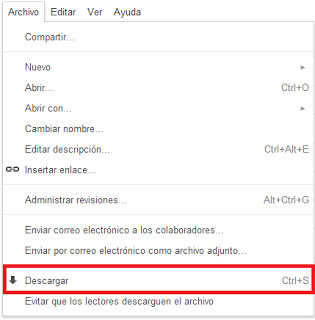 When we get in the document in Google drive what we have to do is go to “File”. Located on the top left of your screen. After unzipping the file double click on the file with the following image. 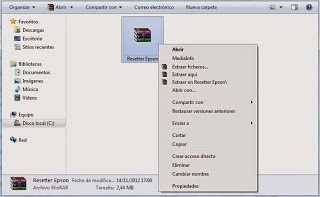 What you need is to run this file and it can be done by right clicking twice on it and running it. A message will be displayed indicating that this program is for free and then click on Accept. In Model Name the name of the reset you are trying to install will be shown, since the "Destination" part won’t be modified and in Port leave the default option in this case is "Auto Select" see image above, in case of questions leave a comment. In this step you have to be really careful, any other options chosen by mistake can be fatal for you printer, so much so that it can delete the printer settings forever, it is recommended to select just the option we will tell. The option you have to select is called Waste Ink Pad Counter and then click on OK to continue. This will restore the printer and indicate that there is not ink waste, although doing this procedure you must be aware that the ink waste is full, though perhaps the printer gets to indicate this due the amount of pages printed, but the truth is that it can cause damages over time. Now choose all the options display to select, afterwards click on CHECK, to verify that everything is allright, click on ACCEPT, then click on INITIALIZATION and when the process is finished click on FINISH. It is possible that you also need to download the drivers click on the following link, download the free drivers for the Epson Stylus Office TX600FW Windows XP/Vista/7/8 (64-bit) you can download the driver for Mac OS X 10.4.11, 10.5.8 and 10.6.x you can download the user manual in HTML, too.